Business owners tend to leave out envelope marketing off their campaigns. Since these are printed with the recipient’s address on the back and enclose your invitations or cards to be sent out, envelopes are viewed as mere containers to your marketing message. 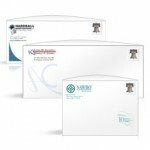 However, envelopes can add another dimension to your marketing efforts. Similar to the cover fold of a brochure, you can apply different marketing appeals through your envelope to encourage recipients to open it to read its content. It all depends with the materials used and design of the envelopes. Below are advice on how you can beef up the appearance of your envelopes to grab the full attention of your target audience. 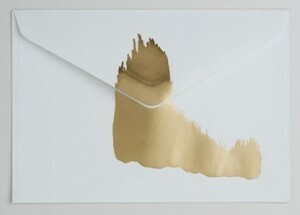 Some envelopes are just better than others – regardless of design – due to the quality of the paper stock used. Since they hold the letters inside and are delivered and transported through mail, it is ideal that your envelopes must printed on a thick stock. This is to not only keep the invitation or card inside the envelope intact, but also display the envelope design with more clarity due to its sturdiness. The size should also be factored in with your envelope marketing. Make sure that the content should fit just right inside the envelope. Below are some of the popular sizes available for envelopes at PrintRunner and their corresponding preset paper or card sizes to be inserted. As a marketing tool, appearance counts for envelopes to maintain consistency with your brand identity. For those that are not mailed out and are instead delivered to recipients by hand, you can design your envelopes without following postal rules. That said, here are tips you can do to make the best impression to the recipient with your envelope marketing. Putting in less is more – Minimalism has taught us to leave space in between design elements and pick out solid yet striking colors to achieve great effect with our print media. The concept enforced behind this artistic movement is the focus on essentials. Thus, too much clutter or disorder on your envelope design will not make for an effective marketing tool. Design the flap and the inside – Purely for design purposes, make use of the empty space at the back of the envelope with your design to create a marketing tool that separates you from the pack. 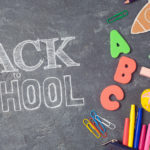 For those sending out envelopes by mail as part of their direct mailing campaign, refer to this post from the United States Postal Service to learn the correct ways on how to design the back of your envelope. 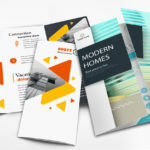 Since your creativity will be restricted by the postal rules or if you are aiming for a more corporate look for your envelopes, you can redirect your focus on these tips to help you maximize your envelope design for marketing. Include a compelling copy – Use the different marketing appeals (emotion, security, desire for beauty, etc) and turn them into persuasive words to grab the attention of the recipient. Read our post entitled “10 Building Blocks to Great Copywriting” to understand how your words can help funnel down your readers to your call to action. Indicate benefits – Lay down to your recipients the incentives why they must read your letter. Because it’s not what you can get from sending them a letter, but what they can get from your letter and business. Show clear call to action – Whereas indicating benefits should entice recipients to close at the envelope more closely, the call to action should impel them to open the envelopes and read the letter. Also inject a sense of urgency so they read it immediately. You will be surprised with how “Read more inside…NOW!” can make a huge difference with your envelope marketing. 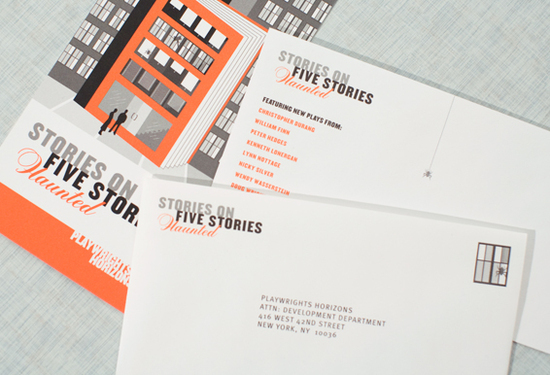 Before designing, however, you need to follow a guideline to avoid messing up with your envelope design. You can download a free blank envelope template with the size and file format of your choice (.JPEG, .EPS, .AI, .PDS, and .PDF). Keep the important design elements of your envelopes within the trim line or bleeds to ensure that they do not get cut off after printing. 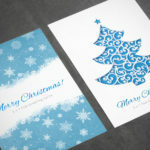 Using the template also minimizes, if not completely eliminates, possible non-technical errors that may spring up when printing your envelopes. If you have little faith in your design skills, you can hire one of our in-house professional designers to design for you. Inform the details of your proposed design and let our experts do the job for you. Click here for more information about our Design Services. Apply these tips once you purchase full-color envelopes at PrintRunner! Available in seven different sizes, our envelopes are printed on 70 lb. Offset and 24 lb. Classic Crest to give off that elegant and professional appearance. Receive these print materials six business days upon printing. Click here for more information.